I'm extra excited for Oct. 22, because Tom Hanks is hosting Saturday Night Live with musical guest Lady Gaga. The Sully star is arguably one of the most beloved actors in Hollywood, both onscreen and off — from You've Got Mail to Philadelphia to Forrest Gump, it's impossible to find a movie where he doesn't shine. And, even when he's not actually on the screen, he's still beloved — I am, of course, referring to his voiceover role as Woody in the Toy Story films. Offscreen, he's known as one of the most likable guys in Hollywood and he won my heart over once again with his spot-on response to the Trump tapes by emphasizing that men should be outraged as humans — not just because they're husbands and fathers. It's no surprise that this beloved actor has been invited to host numerous times, but does Tom Hanks hold the record for most hosted episodes of SNL? 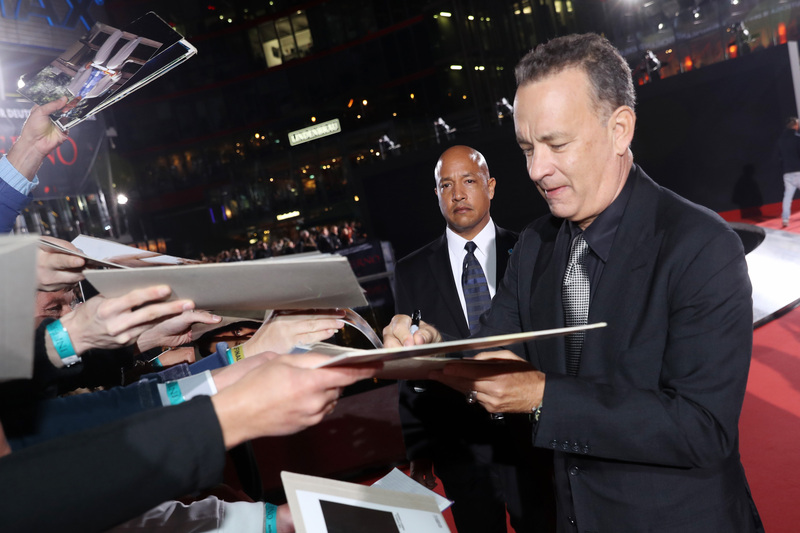 Hanks doesn't hold the record, but he's up there — according to Time magazine, only 15 people have hosted Saturday Night Live five times or more, and Oct. 22 will mark Hanks' ninth time appearing as host (although he has made a number of surprise cameos over the years). Alec Baldwin, who has hosted the show a whopping 16 times, holds the record for most episodes hosted — and it's a safe bet that he'll make another cameo appearance as Donald Trump this week. (Although it appears that one person who won't be tuning in is Trump himself.) Steve Martin comes in second place with 15 episodes hosted. Tom Hanks is in good company, so let's take a look at some of the best sketches from members of the esteemed "five or more" club. Martin appeared on Saturday Night Live so often during the 1970s and 1980s, both as a host and in cameos, that he's considered an honorary cast member. His "King Tut" sketch is widely considered one of the best in the show's history. ICYMI, Baldwin does a killer Trump impression (although Trump himself fails to see the humor in it) — so it's no surprise that he's been asked to host 16 times, and he's also made numerous cameos. Goodman, who has hosted 13 times, joined forces with Keenan Thompson for a unique version of "All I Want For Christmas" during his most recent hosting gig. Murray, who has hosted five times, played an out-of-shape Hercules in 1989. Enough said. Seven-time host Christopher Walken is responsible for uttering one of Saturday Night Live's most famous one liners: "I've got a fever and the only prescription is more cowbell." It'll never get old. If Hanks' past performances on Saturday Night Live are any indication, we're in for one hilarious episode. After all, Lorne Michaels doesn't let just anyone host the show multiple times. Editor's note: An earlier version of this article incorrectly stated the number of times hosted for several members of this list. It has been updated.